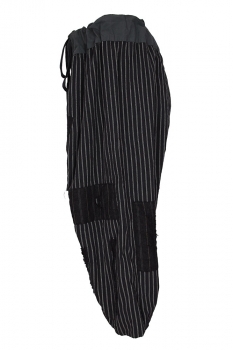 Magnolia Pearl one-size, unisex, cropped, black cotton pinstripe, Joon Pongee Pant, with wool hand stitched patches, dark grey drawstring. Doubled over waistband in grey cotton. Wools patches of various fabrics. 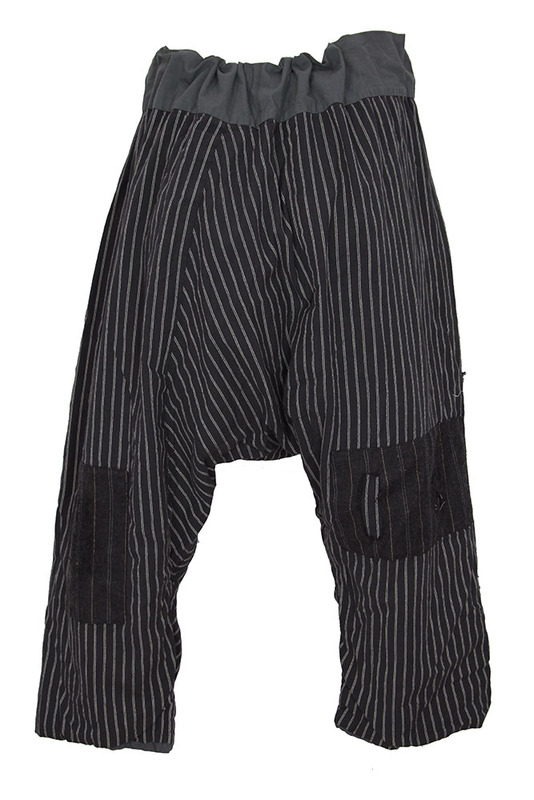 Fully lined in grey cotton. Low crotch. Stunning trousers a joy. Extra wide waist that pulls in superbly to create a great shape.